[164 Pages Report] The artillery systems market is projected to grow from USD 9.17 Billion in 2016 to USD 13.94 Billion by 2022, at a CAGR of 7.23% during the forecast period. This report covers the forecast of the artillery system market and its dynamics over the next five years, while also recognizing market application gaps, recent developments in the market, and high potential countries. The artillery system market has been analyzed primarily on the basis of type (howitzer, mortar, anti-air, rocket, others), component (gun turret, engine, fire control system, ammunition handling system, chassis, auxiliary systems), range (short, medium, long), caliber (small, medium, heavy), and region. The forecast period considered in this report is from 2017 to 2022, and 2016 is the base year. 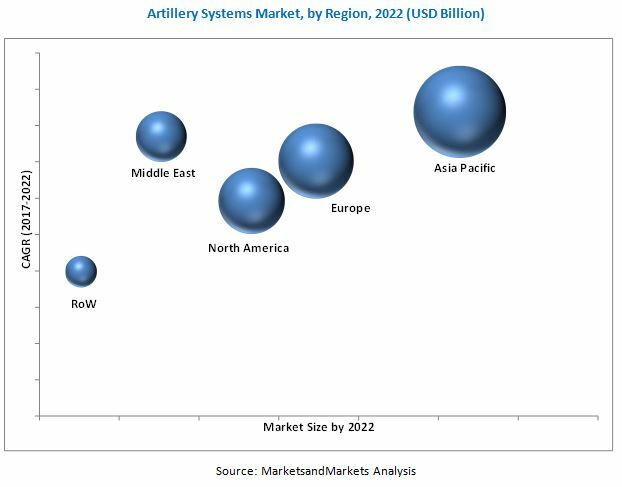 The ecosystem of the artillery systems market comprises OEMs, integrators, and end users. Technology providers in the artillery systems market are BAE Systems (UK), Lockheed Martin (US), Elbit Systems (Israel), General Dynamics (US), NORINCO (China), and others. 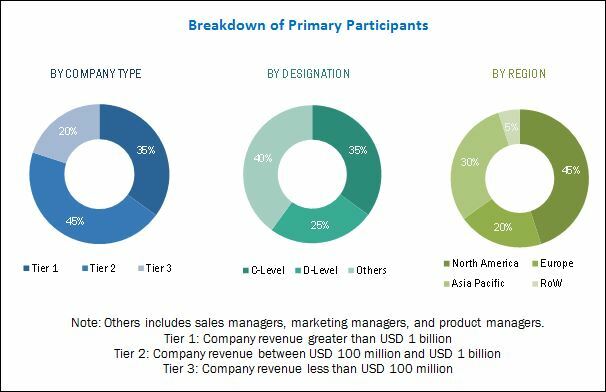 The artillery systems market is projected to grow from USD 9.83 Billion in 2017 to USD 13.94 Billion by 2022, at a CAGR of 7.23% during the forecast period. Increasing demand for artillery systems from the military sector and ongoing military modernization programs worldwide are key factors driving the growth of the artillery systems market. Based on type, the artillery systems market has been segmented into howitzer, mortar, anti-air, rockets, and others. The howitzer segment of the artillery systems market is projected to grow at the highest CAGR during the forecast period. This growth can be attributed to the increased adoption of self-propelled howitzer as well as towed howitzer by militaries force across the globe. Based on calibre, the medium caliber segment is projected to lead the artillery systems market from 2017 to 2022. However, the medium calibre segment of the artillery systems market is expected to grow at the highest CAGR during the forecast period. This growth can be attributed due to increasing demand for medium caliber artillery systems, such as MLRS, howitzers, mortars, and other systems. The artillery systems market in the Asia Pacific region is expected to grow at the highest CAGR during the forecast period. The upgrade of warfare platforms by military forces of various countries in the Asia Pacific region is projected to drive the growth of the artillery systems market in this region. China, India, and South Korea are major countries investing in the procurement of artillery systems and related technologies. China is the major market for artillery systems in Asia Pacific, primarily owing to the continuous technological advancements in the country and other factors, such as geopolitical scenarios and replacement of older systems. The high cost of self-propelled artillery systems and failure of the gun system in adverse weather conditions are key challenges to the growth of the artillery systems market. Key players operating in the artillery systems market include Elbit Systems (Israel), BAE Systems (UK), China Ordnance Industries Group Corporation (NORINCO) (China), Hanwha Group (South Korea), KMW+Nexter Defense Systems KNDS (Netherlands), Denel SOC Ltd (South Africa), IMI Systems (Israel), Lockheed Martin (US), ST Engineering (Singapore), RUAG Group (Switzerland), General Dynamics (US), and Avibras (Brazil). Leading market players are focused on the adoption of contracts as their key growth strategy to strengthen their foothold in the artillery systems market.